It really is the end of an era with Delia Smith vowing to never make another cookery programme. I think most people with any interest in cooking will at some stage have seen Delia grace their television screen with some wonderfully simplistic but fascinating recipes. As one era ends another begins, and thankfully it's not the end of Delia's input into the cookery and baking world. 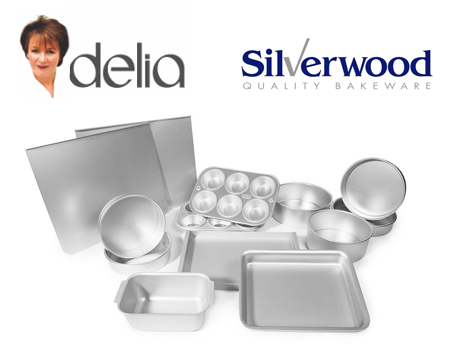 Delia has recently announced she is partnering up with Silverwood Bakeware and intends to leave her 40 year television career behind her and plunge into online cookery and tutorials. At 71 years of age, it is incredibly refreshing to see a cook of this generation start to focus their efforts online and realise the potential that is out there for users at home to cook along with Delia using their iPad, laptop or mobile phone. Delia's range of Silverwood bakeware was specially commissioned by Delia herself and has been designed to be used along with Delia's new cookbook, Delia's Cakes, a revamped and updated version of Delia's original classic cookbook. This range of baking tins and matching liners are perfectly sized for the recipes found in Delia's new book, but can of course be used for any of your own recipes as well. Delia's Cakes is released on Thursday 28th February 2013 and Delia's Silverwood Bakeware collection is available to buy from AJ Stuart today! For more information, you can visit Delia Online and follow lots of Delia's free recipes. We think Delia sums it up pretty well herself - click here to view her short introduction to the new range. 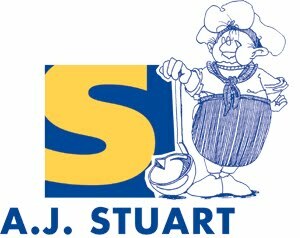 AJ Stuart are a catering equipment supplier based in Belfast, Northern Ireland. Our catering blog aims to provide an insight into the catering industry whilst also providing hints & tips, recipes and the latest news & products from the catering industry. Get in touch if you have any queries! © AJ Stuart & Co Ltd. Picture Window theme. Powered by Blogger.